Wait a minute..... where the heck am I? One of the cons of going on your own tour is figuring out the location and terrain while travelling. Tours chauffeur you a long with you having zero sense of direction, on your own it's survival of the fittest. I found myself saying "jamkkanman yo" - wait a minute a lot in Seoul as when people start blabbering it's left or right or straight ahead I am normally gob smacked by the language. So the key is to get a good map while you are there in Seoul. Out of the airport, there is a lot of readily available maps. I also find sometimes the hotels give quite good maps as compared to the airport ones. When all else fails, walk into a pricey hotel and ask for "help". My first day was just wandering around in Myeong-dong. That day was dark and gloomy and not to mention ... REALLY cold .... If you intend to take pictures, carry and umbrella, it really is very inconvenient. Every shop you walk into, they will give you a little umbrella bag to put your umbrella in to prevent drip. How cute and clean :D While there are plenty of shops here, some of them can be quite pricey. So just window shopping for me here. If you are keen on Korean cosmetics, Myeong-dong has a plethora of it. Hanskin, faceshop, it's skin you name it, it's there. And do ask for free samples, they will load you with it. After a few hours of wandering around Myeong-dong, i took the train to Insadong, got off Anguk station, exited Door 6. 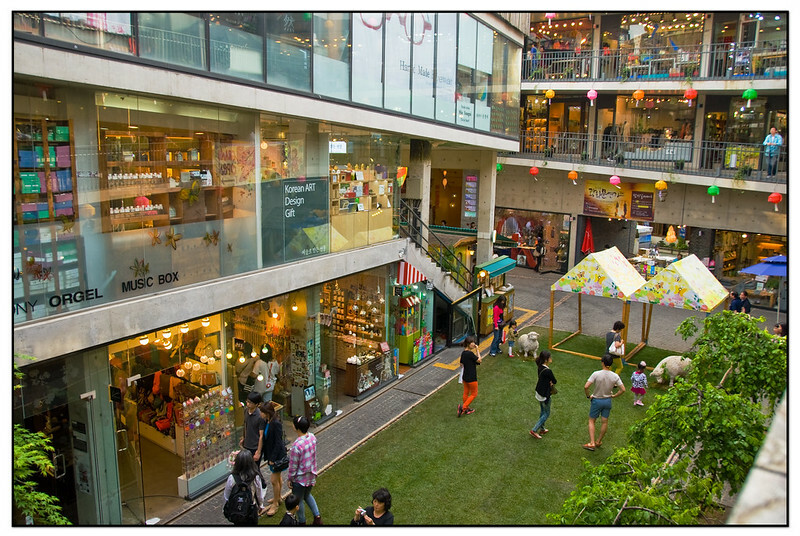 Insadong is an arts and craft area, if you love traditional korean arts and craft, this is the place to go. Note that it is still a bit touristy in price for some of the craft shops particularly the trinkets but if you want unique items such as pottery, brushes and korean traditional sweets, this is the place to go. It will be nice if KL developed some of the City areas to be like this. Now if you are wondering why there are lanterns there, because 2 weeks from then it was going to be Wesak day. 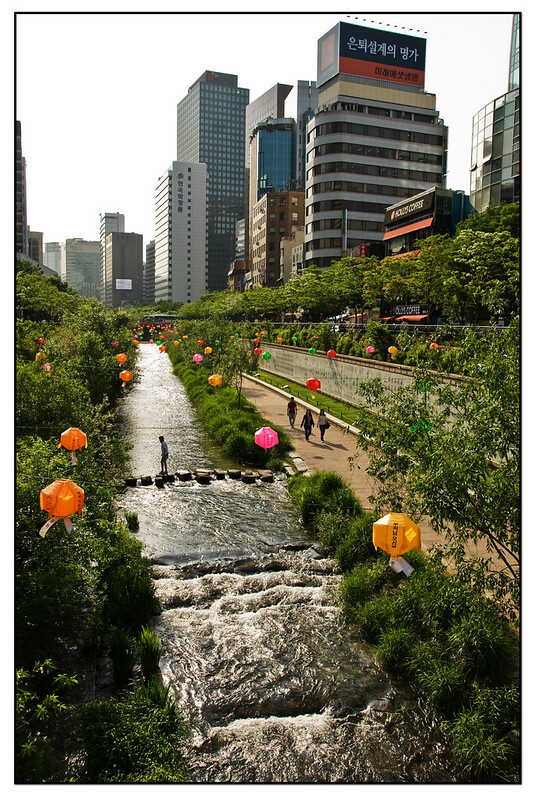 It's a big thing in Korea and the river has lantern floats placed right in the middle and is super lovely at night! 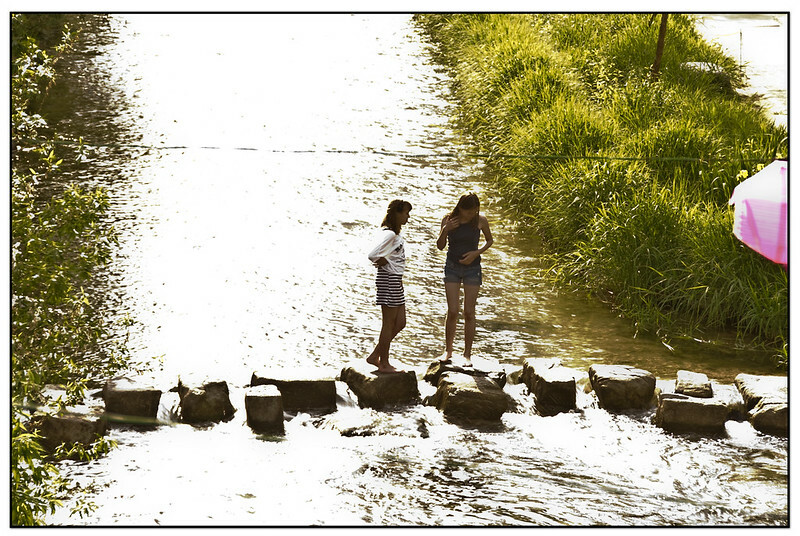 Yup, you can cross from on side to the other on these stones .. and the water is nice and cold :D if you have tired feet, you can dip your feet in it. Does not taste like poop lah. 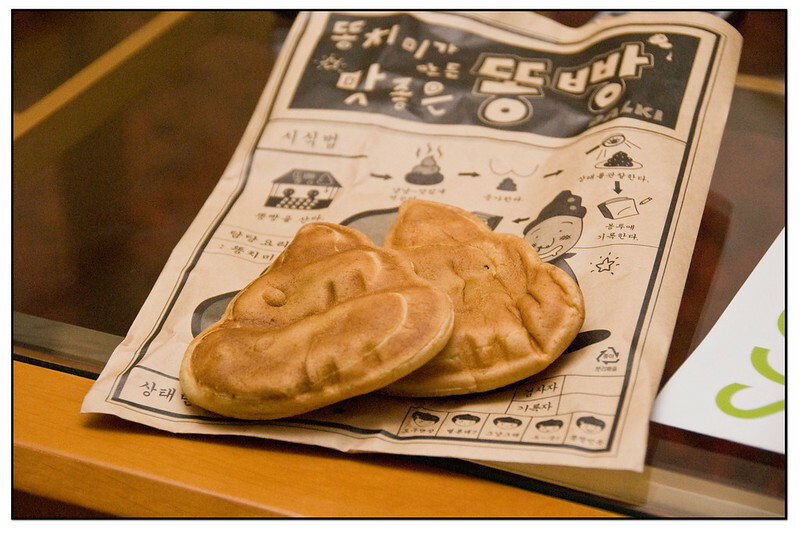 It has red bean inside and the texture of the dough is like our kai tan koh... Nice and not very sweet. There are other Poop bread stalls selling stuffing of chocolate, peanut butter and other flavors but i thought the natural ..ahem red bean is just nice enough. 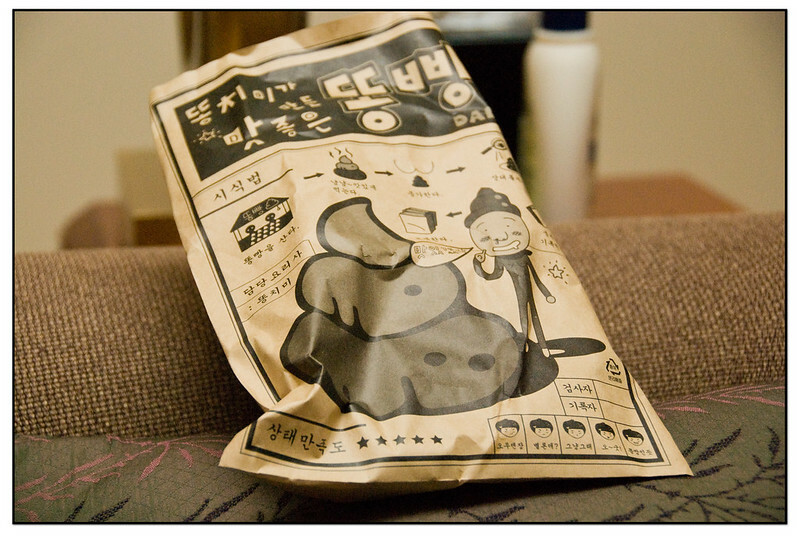 While munching poop bread ... i walked around Ssamjigil. It's one of my favorite buildings... just because it's strange :D and colorful.. really and arts and craft area, you can walk around the lopsided building and explore the nooks and crannies. For those who love Mandu ( dumplings ) there is a very popular shop on the left in a very tiny lane next to Ssamjigil. The queue is so long every day, i couldn't get to try it. Further more... single kucing eat a big plate of mandu is hard T_T....... Ok.. not so good benefits of travelling alone. Neko's first trip to South Korea! Miao & WafuPafu Comic Blog | Dong Dong Chiang! A Malaysia Restaurant Directory - Feedmelah.com - Your Ultimate Food Finder! - Find Restaurants in KL and Selangor.